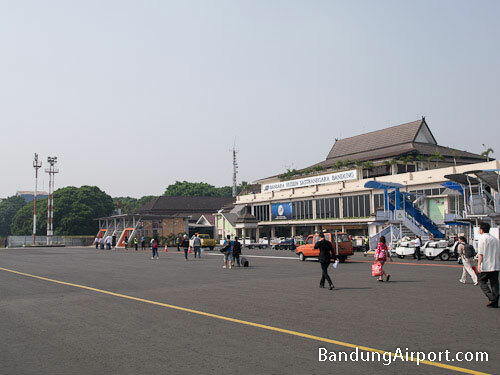 Bandung International Airport (Husein Sastranegara) is the main airport in Bandung city area, West Java, Indonesia. 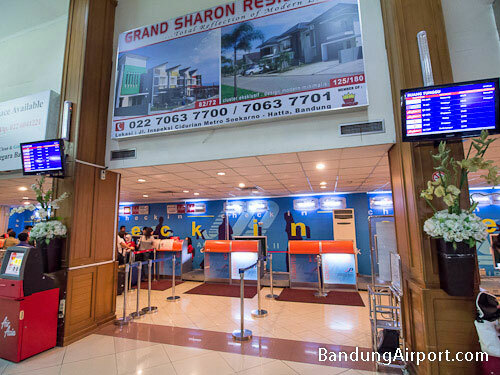 The airport is located 4.8 km north-west from Bandung city center and 2.4 km from Bandung Central train station. One airport terminal is used for domestic and international flights. The area of the terminal is 2,411.85 square meters (25,961 sq ft) and has three floors. Terminal B for international flights is being developed. 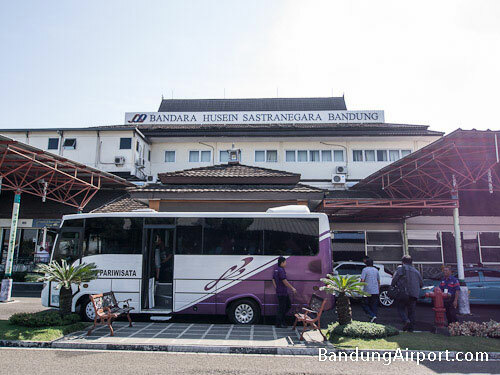 Flights to many domestic and international destinations arrive and depart from Bandung airport. 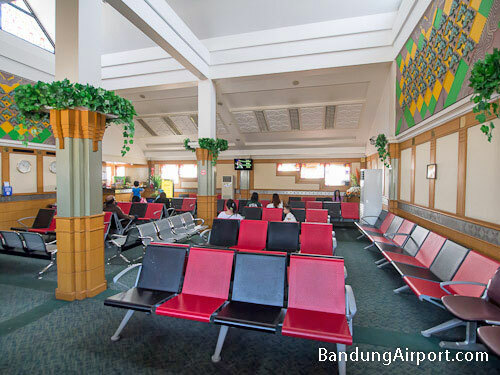 Airlines operating at Husein Sastranegara airport include: Indonesia AirAsia, Garuda Indonesia, Lion Air, Wings Air, Silkair, Merpati Nusantara Airlines. The airport provides visa on arrival service to international visitors from many countries (list). Passengers facilities include two executive lounges, Internet access, TV, prayer room, restaurants, shops and ATMs.